'What I Love’ is about following your heart’s desires and doing what you love in life. We are here for a short time so let’s make it a good time! This track features some of Australia’s finest musicians and is produced by Lindsay Waddington of Kross Kut Records. Michelle Walker is an award winning Australian country music recording artist and song writer. 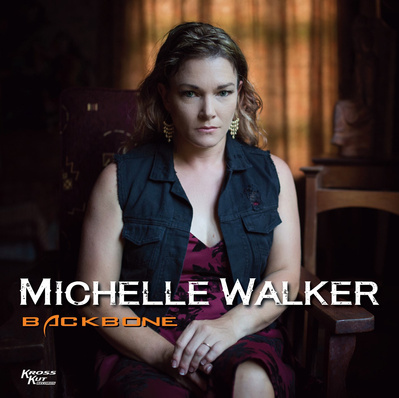 Following the success of her previous album “A Better Day” which saw seven top 40 singles, Michelle has just released her new album “Backbone” with three single releases to date which have all entered the top 40 charts. The title track “Backbone” has been received well in Australia and the USA with a corresponding music video filmed around Michelle’s home town of Tully, FNQ. Michelle is no stranger to hard work in the industry, and brings her own unique and distinct warm tones and flavour, with a wide style of self-penned music ranging from ballads, country blues, country rock, bluegrass, alt country and traditional country.